What is a carbon filter air purifier? • The Air Geeks, reviews of air conditioners, dehumidifiers and air purifiers. Air Purifiers, Blog » What is a carbon filter air purifier? Air purifiers are really useful and practical devices because, as their name suggests, they purify the air. Some models have several filters to do this work, with a HEPA filter and a charcoal filter or a prefilter , whereas other models, known as ionizers, work by diffusing negative ions and have an agglomerate collector. Which ever type you choose, cleaners with air filters are the most popular for home use. Speaking of filters, here is a guide to activated carbon filters.. Activated carbon filters, as you may have guessed from the name, are made of carbon. Studies have shown that , alongside their other functions, activated carbon filters can eliminate odors floating in the air . Furthermore, some activated carbon filters can even produce drinking water, thanks to their amazing absorption capacity. In short, with an air purifier equipped with an activated carbon filter, you can definitely wave goodbye to the problem of bad odors in the home. 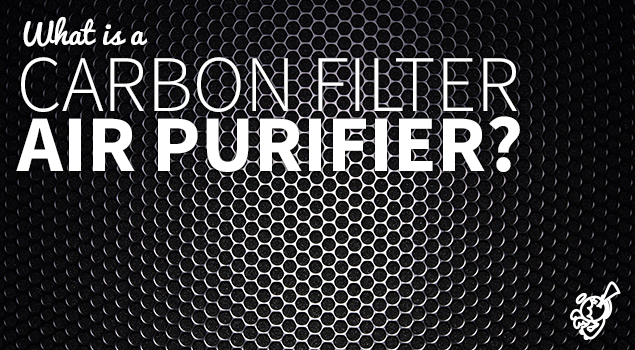 So, the activated carbon filter is a very important element of any air purifier. 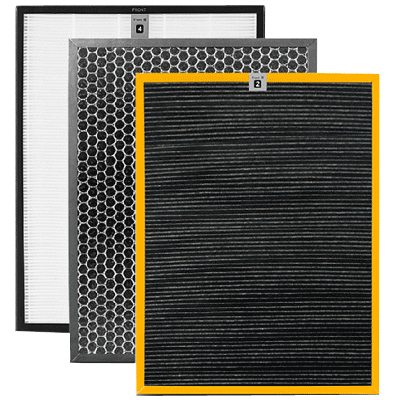 As well as efficiently eliminating odors , charcoal filters are also wonderful at removing VOCs, or Volatile Organic Compounds . These famous filters can also capture fumes so that the air you breathe in your home is as healthy as possible. So, with an air purifier equipped with this type of filter, you can expect the air in your home to be healthier and purer . Unfortunately, as you already know, this filter can not do all the work alone and that is why we need to complement it with other filters. We can not say it enough: despite their undeniable usefulness and efficiency, an air purifier can never be totally effective if it has only one filter- the activated carbon filter, alone. However, by adding other types of filters such as a pre-filter, HEPA filter or even a plasma filter, its functioning improves tenfold and you can achieve perfectly healthy air. 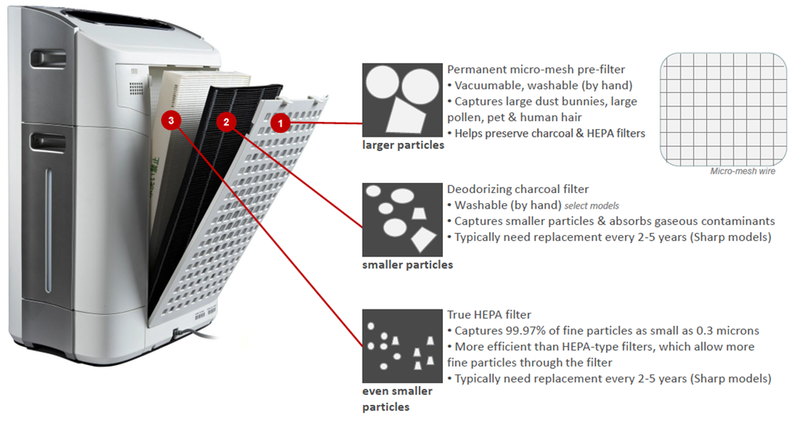 Indeed, the pre-filter captures hair and dust, the activated carbon filter captures odors, smoke and VOCs, the HEPA filter attracts small particles, certain bacteria and allergens, and other filters such as plasma filters can capture viruses and microbes. So, you can see here that each filter has a specific role. The activated carbon filter can not purify the air by itself; it works as part of a set. That said, it is largely thanks to the activated carbon filter that air purifiers can work effectively.